Though spread over 16 countries, the Hausa cluster, numbering over 48 million people, mainly reside in Nigeria and Niger (44 million). They are a Muslim people with only 2.6% adhering to Christianity. One of the main reasons the Hausa remain resistant to the Gospel is that they have difficulty giving up Islam. Hausa are the largest group in West Africa. Known to be very hospitable. They have one word that means both “guest” and “stranger”. Though secluded, married Hausa women are allowed to visit one another in the evenings. It is said they actually prefer seclusion as it prevents them doing hard labor in the fields. There is a high divorce rate (50%) and, consequently, there are many single women living in cities. It is not uncommon for them to remarry. Markets and trading are important factors in Hausa society. For centuries, long distance trade has been crucial to their economy. Many Hausa are also farmers and/or shepherds. The Hausa culture is strongly linked to Islam, which makes it difficult to reach this people group with the Gospel. There is a lot of prejudice against the Christians of southern Nigeria, and there has been intense persecution of the Christian Hausa. Praise God that there is a Bible in the Hausa language, and, historically, scripture has had a powerful impact on Muslims. A fourth of Hausa words come from Arabic and the Hausa language is written in Arabic characters. Although, many also speak either French or English. The Hausa have a rich culinary heritage. They eat mostly grains such as rice, millet, maize and sorghum which are ground into flour. There is also an abundance of meat, mostly beef in the Hausa culture. Kilishi which is like a jerky made from de-boned beef. Known for their elaborate dressing, they tend to be elaborate but conservative in the way they dress mostly due to the strong religious beliefs. They are also known for prominent tribal marks which are drawn mostly on the face. It is a way of identification passed down from family to family, members of the same village, identification of royal lineage and people from the same lineage. Since tribal marks are used mainly to differentiate ethnic groups, they vary. Pray that the Lord will raise up loving Christians who are willing to share Christ with the Hausa. 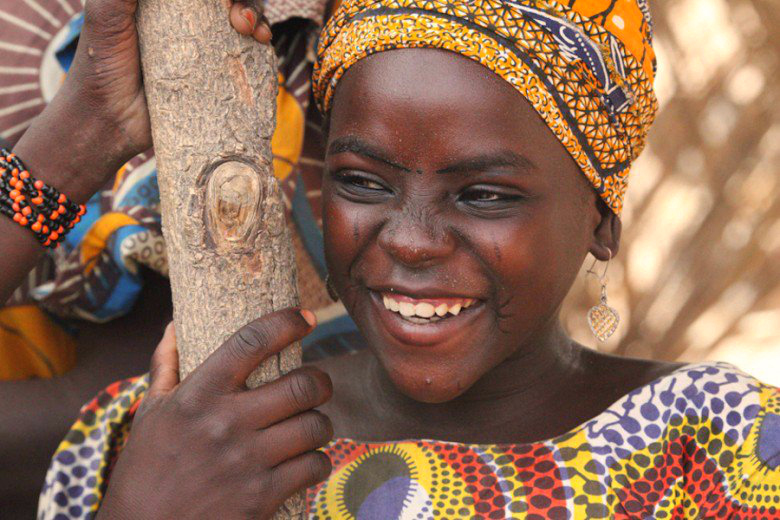 Pray that the Lord would encourage and protect the small number of Hausa believers.